Hundreds of Cameroonian women gathered in the capital this week to urge the government to stop the killings in the country’s Anglophone separatist western regions. 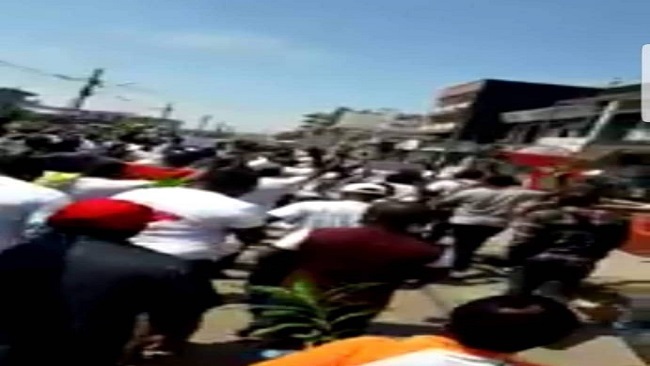 Weeks of violent clashes in those areas have left at least 70 people dead. 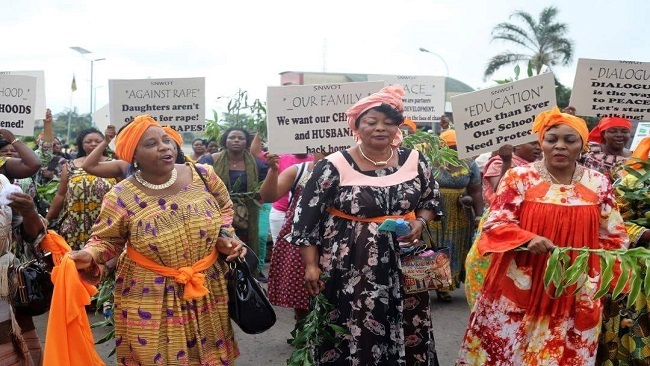 The event Thursday at the Yaounde conference center saw about 700 women from various cultural associations call for efforts to end fighting in the English-speaking regions. Teacher Elizabeth Mankaa, who organized the groups, said most of the women have lost family members or belongings in battles between the military and separatists. 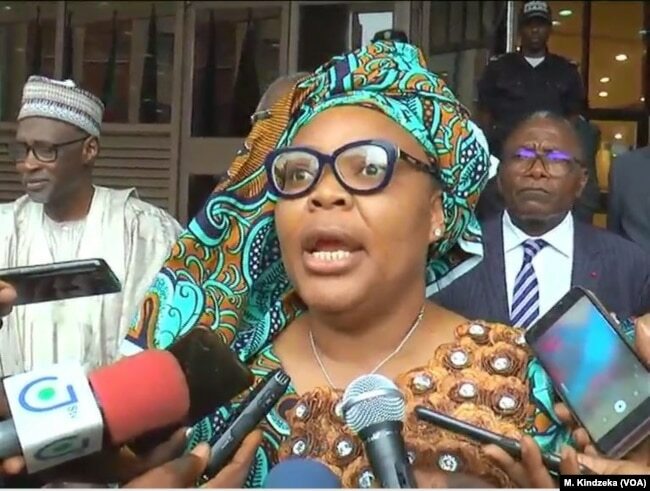 “The northwest and the southwest region are suffering, and we are here to cry like mothers so that the government should hear our cry and stop this crisis,” she said. Cameroon’s Ministry of Defense said in a statement that dozens of separatists have been killed within the past two weeks. The Catholic dioceses in the regions said they counted at least 70 bodies, including those of civilians and military members. Mankaa said all of the victims were children of Cameroon, dying in what she described as a senseless war. 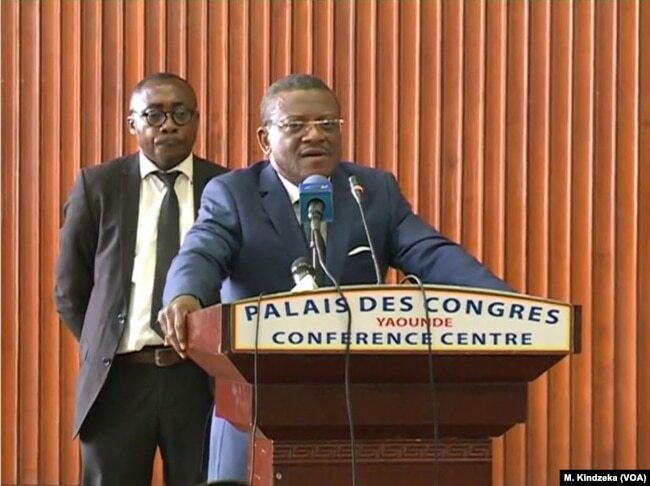 Cameroon Prime Minister Joseph Dion Ngute adresses English-speaking women in Yaounde, Cameroon, April 18, 2019. At a separate event Thursday, Prime Minister Joseph Dion Ngute claimed Cameroon’s military is winning the fight. He called on the wives and mothers of separatists to persuade them to surrender. 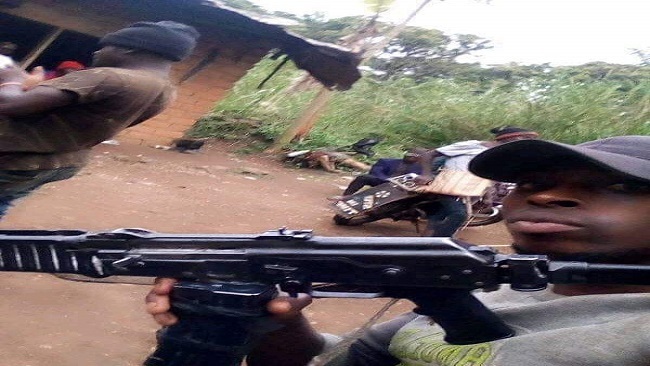 Daniel Mukete, a political analyst at the Cameroon Rehabilitation Center for Victims of Conflicts, says the government cannot declare war and deploy heavily armed troops, then expect separatists to disarm. “Let the enabling condition for an inclusive dialogue be set. Let violence [cease]. Let guns stop being heard. Let the people feel free to express their minds,” Mukete said. He added that rebel fighters will only believe that troops will not kill them if they withdraw. Liberian born Nobel Peace Prize winner Leymah Roberta Gbowee speaks in Yaounde, Cameroon, April 18, 2019. Liberian peace activist and 2011 Nobel Peace Prize winner Leymah Roberta Gbowee was at another Yaounde-related event Thursday. She warned that Cameroon will descend into chaos if there are no talks to bring peace to the separatist regions. International pressure is growing over the worsening conditions in Cameroon’s Anglophone regions. The European Union’s top diplomat, Federica Mogherini, on Thursday called for talks between the government and rebels as the only way to achieve a sustainable solution. 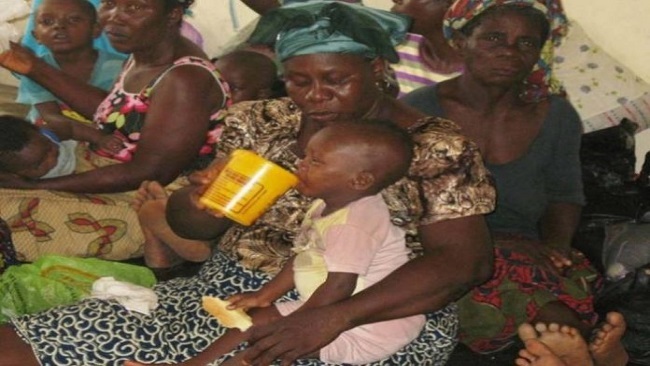 In a speech at the European Parliament, she said the humanitarian consequences were alarming with about half a million internally displaced people and more than 32,000 Cameroon refugees registered in Nigeria. More than 1,500 people have been killed in Cameroon’s English-speaking regions since fighting broke out in 2017. The unrest was sparked by English-speaking teachers and lawyers protesting Francophone dominance. Armed rebels took over the movement, demanding independence for an English-speaking state they call “Ambazonia.” Their demands were met with a government crackdown and calls to surrender or be killed. “Government forces are committing abuses against people living in the Anglophone areas of Cameroon,” said Lewis Mudge, Central Africa director at Human Rights Watch, in a statement. “We woke up to the sound of guns. A soldier broke the window, and asked my aunt where the Amba Boys (anglophone separatists) were hiding. She told him that she didn’t know, so he shot her in the right arm,” one 45-year-old resident told HRW, whose uncle was killed. 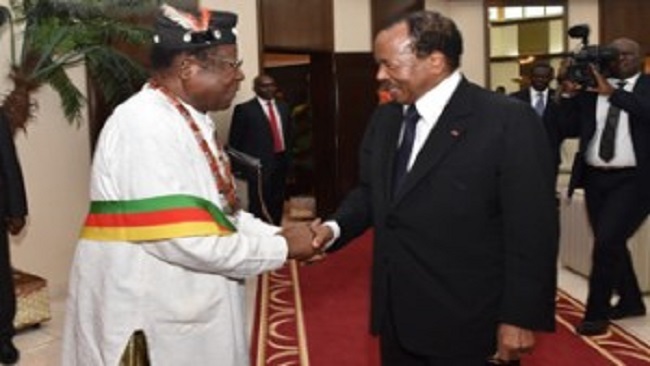 English-speakers, who account for about a fifth of Cameroon’s population of 24 million, have chafed for years at perceived discrimination in education, law and economic opportunities at the hands of the francophone majority. The self-declared entity, the “Republic of Ambazonia,” which has been named after the local Ambas Bay, has not been recognised internationally. Three Cameroonian soldiers were killed in the locality of Sagme (Far-North), during an assault by Boko Haram militants a dozen of whom also died in the ensuing gunfight, APA learns Monday from the Defense ministry. According to the ministry, the raid took place on Sunday and left three personnel of the Rapid Intervention Battalion (BIR), an elite unit under the coordination of the Multinational Joint Force (MFF) dead. Apart from the dozen insurgents killed, over twenty more were apprehended. The Cameroonian army seized an important “arsenal of war”, consisting of weapons and ammunition as well as motorcycles. Two vehicles belonging to the insurgents were destroyed.